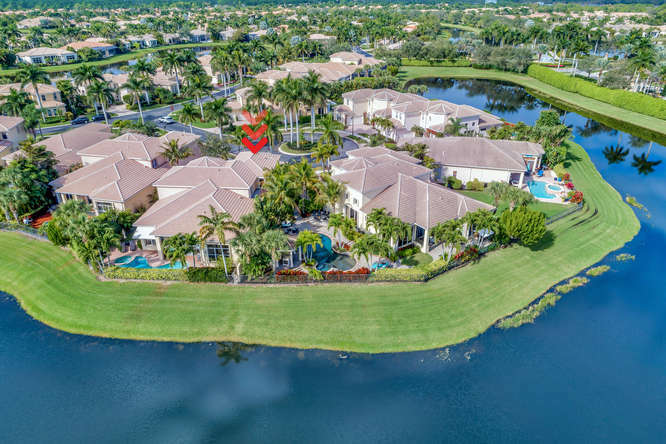 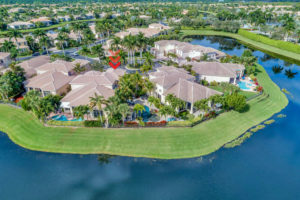 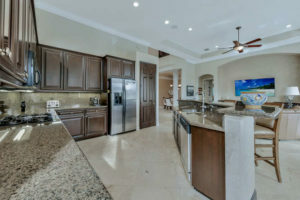 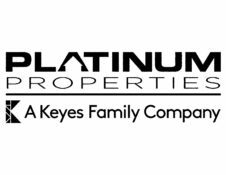 New Listing in Country Club of Mirasol! 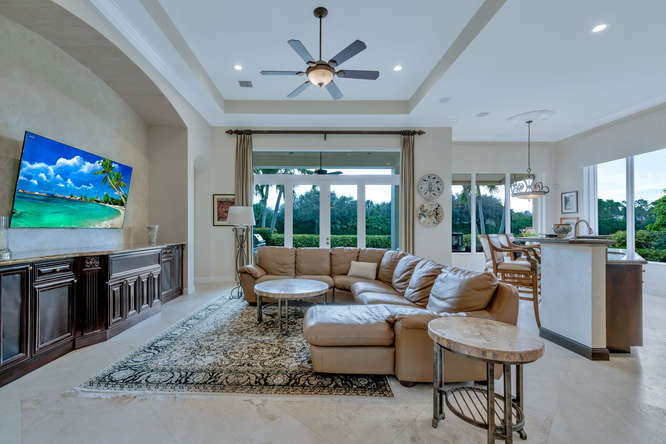 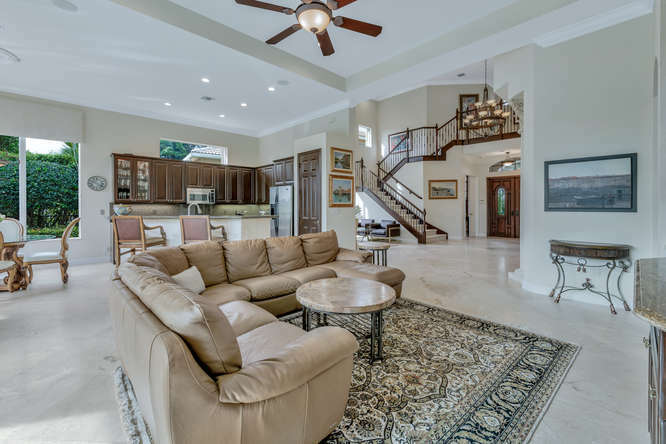 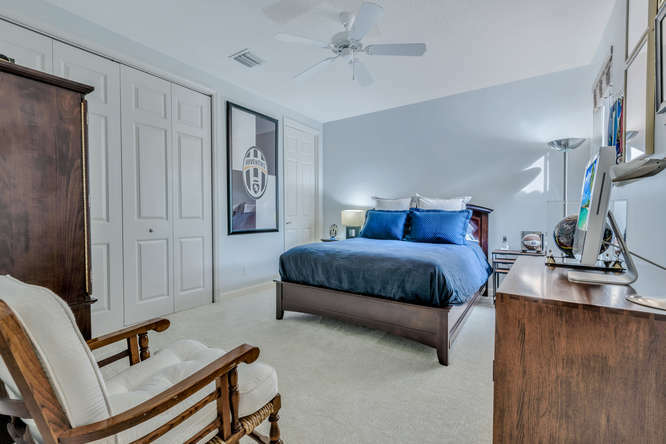 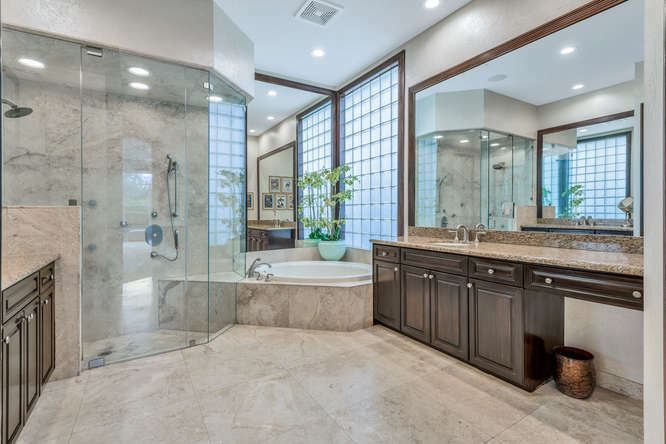 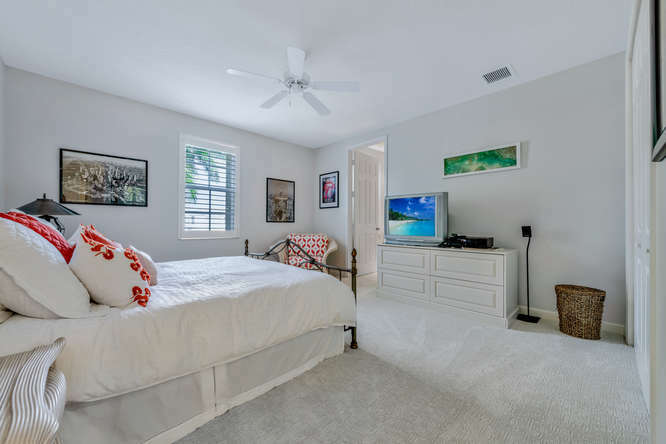 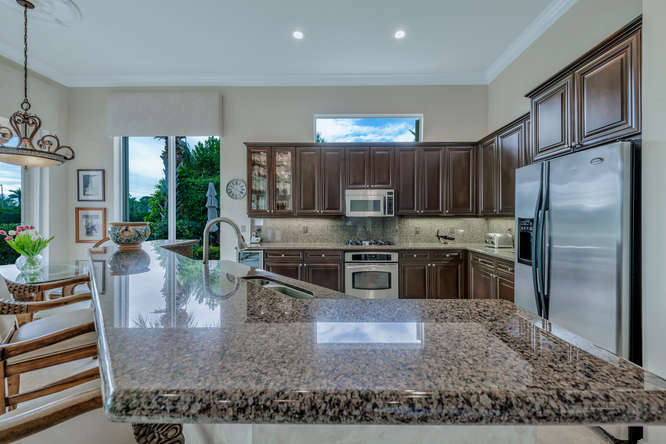 Located in the illustrious community of the Country Club at Mirasol , this highly desired Seville model home has 5 bedrooms and 6 baths, a 3-car garage and 4,000 sf of elegant living space with an open floor plan. 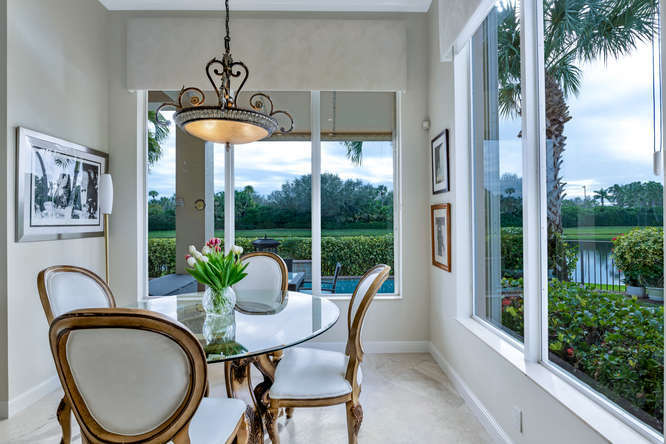 Natural light floods this home with large windows that provide unobstructed panoramic lake views from almost every room in the home. 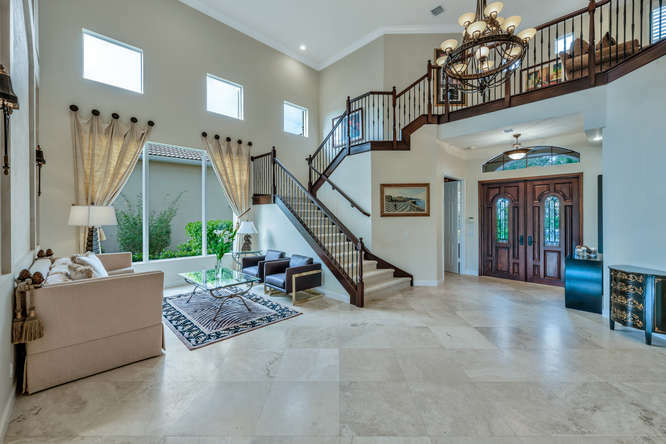 Exquisite attention to detail with custom finished including a solid Mahogany custom front door with beveled stain glass, spacious entry area with 24” Saturnia marble floors on a diagonal Ventian plaster with custom faux painting and Roman stone columns. 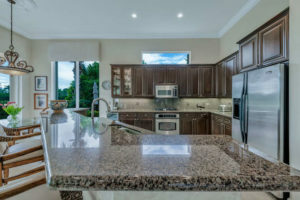 Granite kitchen countertops with breakfast bar, designer cabinets, built-in wine cooler, and gas cook top. An expansive master bedroom suite features a serene sitting area and vistas of the vast surrounding waterfront and greenery. 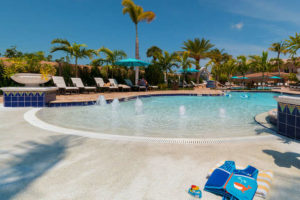 The pool area boasts a unique design enhanced by a heated spa, waterfalls, large side-yard with tranquil fountains, and custom lighting within a tropical setting. 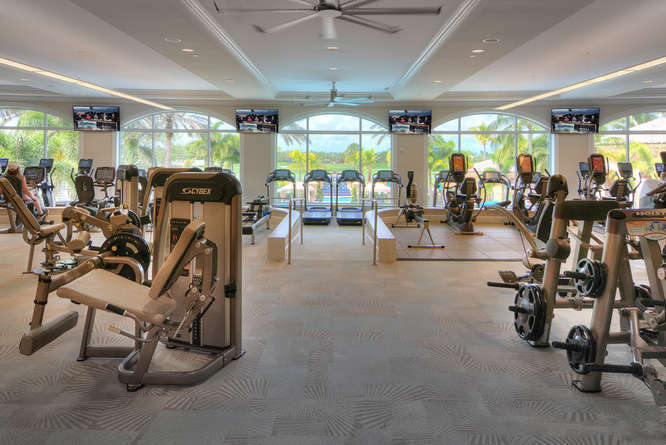 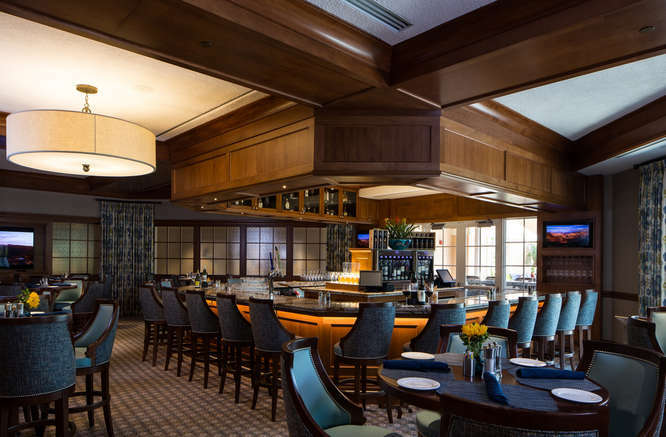 The Country Club at Mirasol has recently completed a $39 million renovation project that has elevated itself to be one of the most prestigious private residences in Palm Beach County. 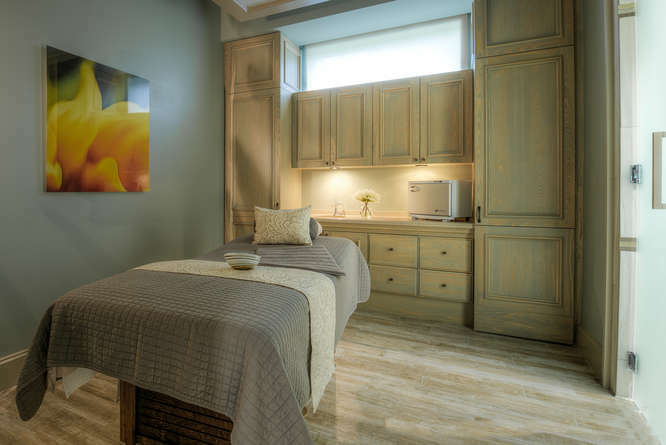 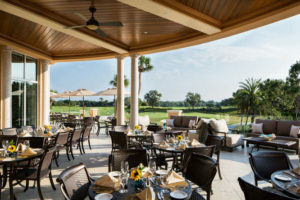 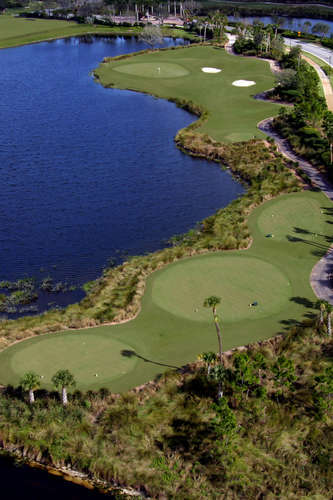 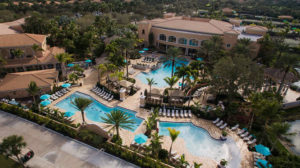 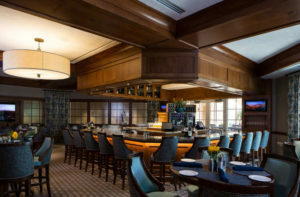 Mirasol boasts two championship golf courses, a main clubhouse that offers year-round dining and entertainment from several dining locations, card rooms, a library and business centers. 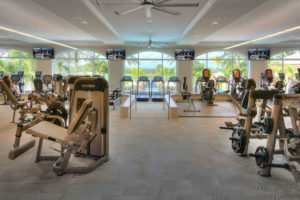 Also on-site is the Club’s Aquatic Center with an expansive main pool with cabanas and covered lounge areas, a sports pool and child-friendly area, a state-of-the-art Fitness center with the most advanced equipment, group exercise studios, Spa and Salon, and Sports Complex with child friendly playgrounds, basketball and pickle ball courts, multi-purpose fields and more.